Over the last 7 days, the Greater New York Red Cross provided emergency assistance to 82 adults and 31 children following 59 local disasters. Here are some highlights from last week and a preview of upcoming events (see below). As a historic wave of extreme weather batters parts of Texas, Oklahoma and Arkansas, hundreds have been forced to evacuate as a result of tornadoes and flooding. The Greater NY Red Cross has deployed several volunteers, including five AmeriCorps NPRC members to support the disaster relief operation underway. Thank you to our volunteers and safe travels! With heavy rain and severe storms expected to continue, more volunteers from Greater New York are being requested in many Red Cross activities. If you can be available for a two-week assignment, please email staffing.gny@redcross.org. Over the weekend, our very own Raul Rivera Nunez, Disaster Cycle Services Regional Director, deployed to Nepal to assist with ongoing earthquake relief. Raul, we wish you a safe deployment! On Sunday, the Red Cross provided temporary housing and financial assistance to two families consisting of eleven adults and two infants in Staten Island after a fire destroyed their homes. Last Thursday, 23 Red Cross Club members from Maspeth High School participated in a First Aid/CPR/AED course and are now certified lifesavers! On Tuesday, nearly 30 third graders from JFK Intermediate School in Deer Park, Long Island learned about emergency preparedness as part of the Pillowcase Project, a Red Cross safety program sponsored by Disney. Tuesday night, Metro New York volunteers enjoyed a “Volunteers Night Out” bowling in White Plains. On Monday of last week, Red Cross volunteers Phil Cogan and Patty Jones helped four individuals left homeless by a 2-alarm fire in Far Rockaway, Queens. 7 Days to GIVING DAY! 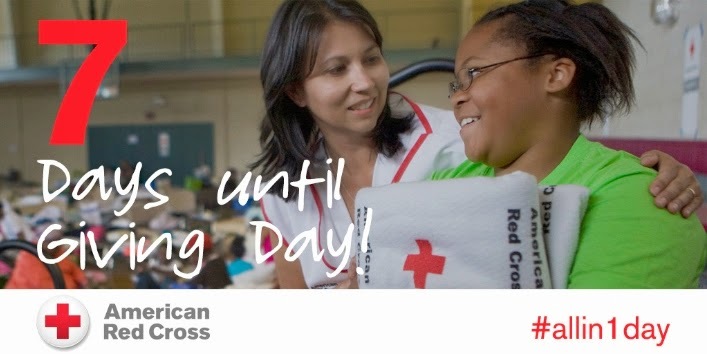 Red Cross “Giving Day,” is our first nationwide campaign in support of our humanitarian mission. On June 2, communities across the country will come together to highlight the day-to-day impact of our organization and ask the general public for their financial support. How can you support Giving Day? Become an ambassador and help us spread the word. May 26 and 29: Red Cross blood drive; 1 to 7pm; 520 West 49th Street, Manhattan. Schedule an appointment to donate today. May 28: Special guest, Michael Posner, will be speaking to a group of donors donors about the importance of International Humanitarian Law. 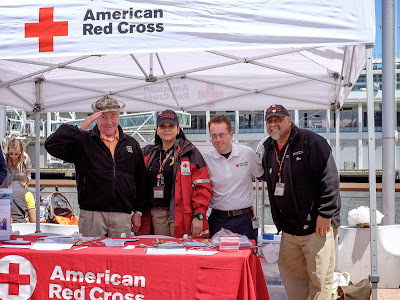 May 30 and June 6: Volunteers are still very much needed to support the upcoming Home Fire Preparedness Campaign events on Saturday, May 30 in the Bronx and Saturday, June 6 in Staten Island. Volunteers will be working in teams to install free smoke alarms and ultimately reduce injuries and deaths due to home fires. If you’d like to volunteer for the campaign, sign up on our website by selecting “Home Fire Preparedness Campaign Volunteer.” Current volunteers should sign up through Volunteer Connection. June 3: The Young Professionals Council is hosting “Rally for Relief,” an evening of cocktails, great music and much more to benefit the American Red Cross Greater New York!